I sorted, tossed and ended up with this. As a birthday gift to myself, I CLEANED MY CLOSET. Yup. I bagged up the following items to give to charity: clothes that don’t fit, clothes that I hate, clothes that I’m sick and tired of wearing, clothes that aren’t “right,” and <drumroll> the last of my corporate clothes: my beloved silk two-piece dress and jacket outfits and a beautiful dark peachy reddish silk skirt and jacket combo. 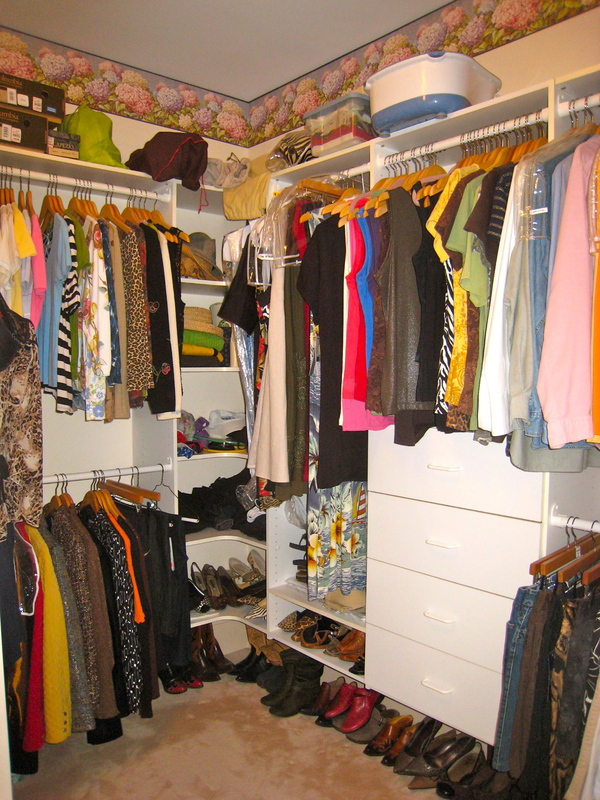 My life has moved on and my closet needs to follow suit (pun intended). Next I'll drop off my bags of clothing at the Red Cross. 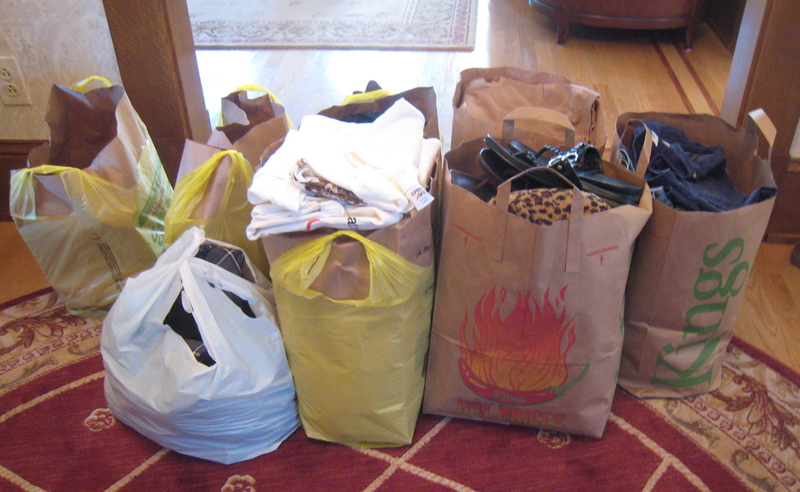 After I finished the purge-and-bag I snapped photos of a few bottoms (pants and skirts, people! Pants and skirts!) I haven’t worn because I don’t have the right shirt to complete the outfit. I’ll take the photos shopping with me so I can find attractive tops. Pretty clever, huh?! 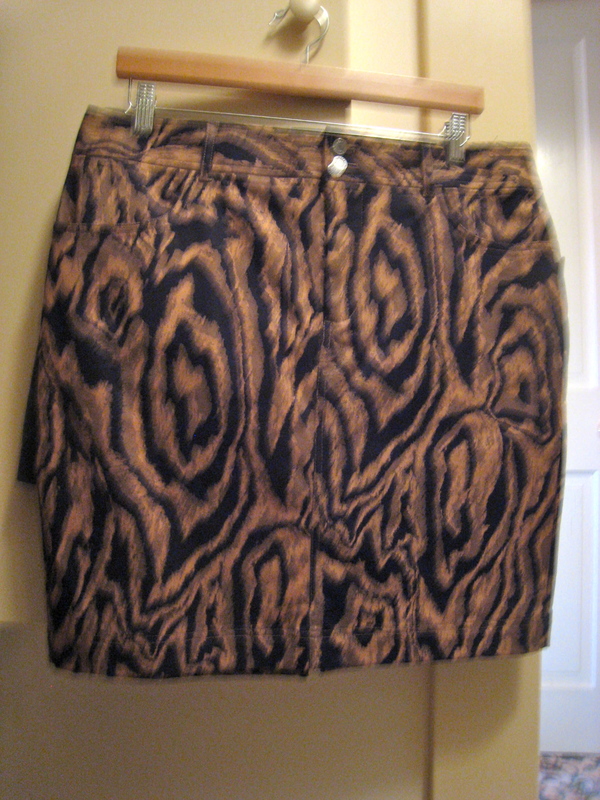 Here's a cool skirt that needs a shirt! And here's another one. 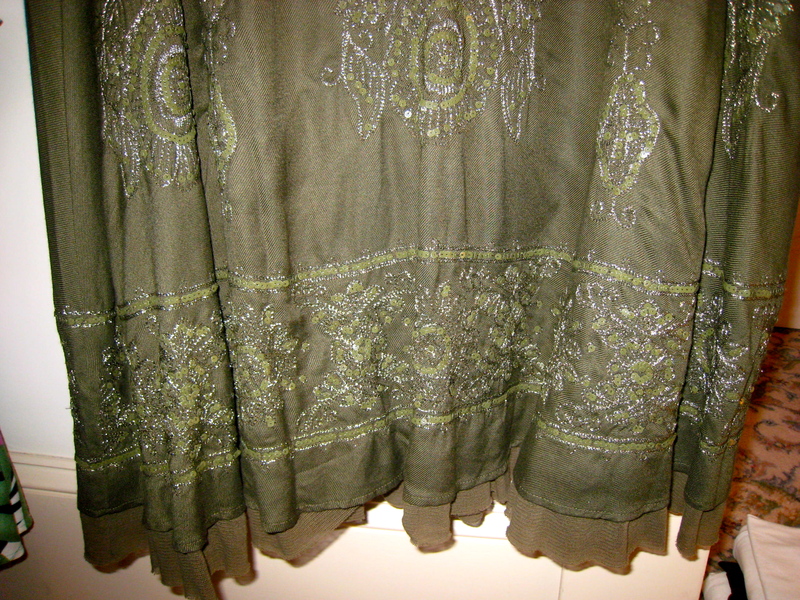 I love this skirt and will try and find the perfect top to blend with the beautiful work along the hemline. Later today I will cheer at my daughter Tory’s final varsity volleyball game of the season then head up the Garden State Parkway to watch our nephew Patrick’s team (hopefully) soundly trounce their arch rival in a Friday Night Lights football Showdown. Oh Yeah!! It’s my birthday AND I’M LIVIN’ LARGE! OK, I know I’m almost a month late — sorry, I’ve been laying low lately — but let me say: happy (belated) birthday! Hope you had a wonderful time.